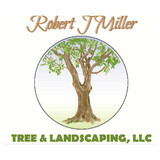 Robert J. Miller Tree & Landscaping, LLC. Nelson Tree Specialist is standing by, ready to provide you with outstanding services. Your satisfaction is our #1 concern! We offer a wide range of Tree Services with one goal in mind – making you a happy customer! We offer a custom approach to tree removal guaranteed to match your needs and budget. Regardless of the type of tree service you select, ranging from tree removal, trimming, stump grinding or removal, etc., the skilled and insured professionals at Nelson Tree Specialist will get the job done safely. We are very meticulous in our approach to our work and focus on providing custom solutions that work perfectly for our customers. We are available 24 hours/day for Emergency Services. Please give us a call or message today to learn how we can help with your next project! 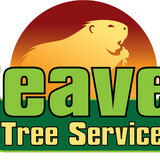 Beaver Tree Service, has 10 years of experience and offers affordable prices. All of our employees has to past a background check and have at least 2 years of experience. We offer military discount and $5off on you next service if you refer a friend. We are licensed and Insured. We Grow BIG Trees Shade Tree Farm, located on over 100 acres in the Piedmont region in Northern Virginia, is a division of the award-winning West Winds Nursery, LLC. Shade Tree Farm grows and installs BIG trees, i.e. specimen trees. "What takes nature twenty years. . .. . .Shade Tree Farm-can do in a day." All specimen trees are locally grown and adapted to thrive in the Washingon, D.C. area. Shade Tree Farm offers a wide selection of both large and small trees at competitive prices. Shade Tree Farm’s services include a full range of landscaping services. Whether you want to plant one tree or a forest, Shade Tree Farm and West Winds Nursery can do it. Founded in 2006, Big Steve's Tree Care started with a loan and a dream and has grown to become a highly reputable tree service in the Northern Virginia area. With Steve's 15 years of tree experience you can guarantee your expectations will be met, If not exceeded. With hard-working and dedicated employees who take their job seriously, you will be met with complete professionalism from the time we arrive at your house, until the time we leave. Big Steve's Tree Care currently employs 15 professionals, so no job is too big or too small. We have a large assortment of professional equipment, including a crane for tree trimming. We run background checks on all of our Tree professionals. Contact us today to keep your trees healthy through pruning on a regular basis. Established in 1996, Homestead Tree Experts Inc. is a local family-owned-and-operated tree service, employing trained professionals to safely perform a wide range of tree care in the DC area. Additionally, a certified tree expert is available to assist with testimony in tree-related court cases. Richard G. Martinko, president of our company, is an ISA certified arborist (International Society of Arboriculture™) and member of Tree Care Industry Association and the Society of Commercial Arboriculture. Since graduating from George Washington University, he has provided affordable tree care to thousands of satisfied customers for more than 35 years. 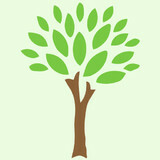 Escobar Tree Experts, LLC, is a locally family owned business with over 20 years experience. We are your one stop shop for all of your arboriculture needs. We specialize in all facets of tree work. We are extremely competitive and understand the value of building a relationship with our customers. We will go to great lengths to please our clients. Once you use us, you'll never have to find another tree company again! We value honesty and integrity in all aspects of our business. 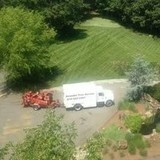 We offer a variety of lawn care and tree services that are customize to each individual project. We look forward to build lasting relationships with our clients and guarantee your satisfaction. Other service that we offer are power wash, stain, seal,windows cleaning, gutters cleaning. RTEC Treecare is a fully Licensed, Insured, & Accredited Tree Services Company Serving the DC Metro Area. In fact, RTEC Treecare was the first Accredited Tree Service Company in Virginia. We are one of the best tree service companies in Northern VA. We have 20 years of experience with emergency tree service. We make sure all your tree services get done easily and in a timely manner. When you choose RTEC's tree services you choose a worry-free experience that guarantees the best tree service value. Tree Services: Emergency Tree Service, Tree Trimming Service, Best Tree Service, Tree & Shrub Health Care Programs, Root & Soil Management, Cabling, Tree Preservation Plans, Deer Control, Tick Control, Mosquito Treatments, Beneficial Insect Release. Professional tree care is our specialty. We offer a full range of custom pruning services as well as tree removals, stump grinding, planting and plant health care and more. Our tree care services are recommended and overseen by a professionally certified arborist. Explore what the best professional tree service Northern Virginia and Maryland has to offer can do for you! Established in 2000 The business was originally founded to handle stump removal. Most tree companies remove the trees but leave stumps behind that blight the landscapes with reminders of the missing tree. Those irky stumps can make most homeowners crazy trying to remove them and cause many wasted hours and weekends working to rid their property of the stump. Enter, the Stump Eliminator! At the delight of many of our satisfied customers, we expanded into tree service and care to include pruning & trimming, removal, disease assessment & management, tree selection advice, and related concerns. We have three licensed Maryland Arborists, skilled climbers and crew to handle residential and commercial needs. Based in Laurel, MD, Prestige is a company dedicated to providing the best tree care experience in the area. We offer clear estimates, competitive pricing, quick service, and the equipment and experience necessary to handle any size job. Call us today and see why Prestige is the right choice for all your tree care needs. We add value to your landscape by offering affordable, safe, and environmentally friendly arborist services. Our services range from existing tree maintenance to total tree removal and replacement. Employees are trained in safe equipment operation, proper tree care, and strive to provide you with high quality service. The owner (Mark Hawthorne) is a certified arborist with International Society of Arboriculture (No. MA-5236A). Your Centreville, VA tree service professional or arborist might work in conjunction with another landscape professional to create a seamless landscape design. Here are some related professionals and vendors to complement the work of tree services: Landscape Contractors, Landscape Architects & Landscape Designers, Garden & Landscape Supplies. Find tree service professionals on Houzz. Look in the Professionals section under Centreville, VA tree services. You can look through portfolios and read reviews to see what past tree care clients have to say.